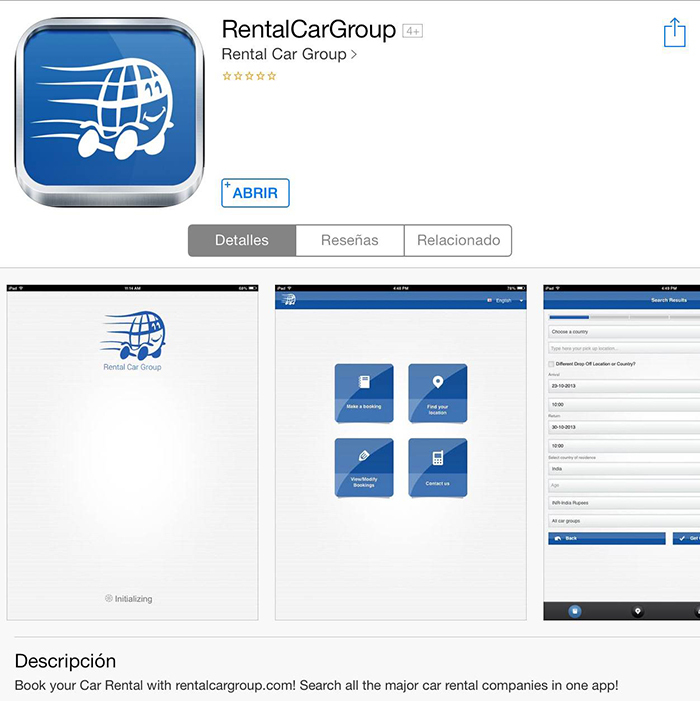 Rentalcargroup Blog :: The new Rentalcargroup App, there is no reason not to rent with us. The new Rentalcargroup App, there is no reason not to rent with us. The use of smartphones is far exceeding the use of computers in many daily tasks. It is logical if we consider it is a product that is with us all the time and it is much more comfortable to use than a desktop or even a laptop. It is for this reason that we have always been aware of giving a boost to this way of accessing our services from Rentalcargroup. For quite a long time our dear and valued customers have enjoyed an interface adapted for Web access from mobile phones, using just the browser of their smartphone. They were offered a more friendly way to select search parameters of the desired vehicle and we know that this is something that many have thanked. However from our company, which is constantly evolving and providing new ways to innovate , we wanted to complete this strategy with a native and free mobile application for the two platforms of the moment: iOS and Android . It is a step that most of our customers are already enjoying . Ultimately we have pursued to increase the satisfaction of our customers, who no longer have an excuse to find the best rental price in the market, granted and as always ... with us. But how does our application work?, how to make the best of it? We will answer these questions in a future post.